Find a vacation home to rent in Peloponnisos Dytiki Ellada ke Ionio from our list of vacation rental properties. Campaya has over 81 vacation homes available in Peloponnisos Dytiki Ellada ke Ionio, which give you the possibility to locate a unique accommodation in Peloponnisos Dytiki Ellada ke Ionio which completes your check-list in search for the perfect self catering vacation apartments in Peloponnisos Dytiki Ellada ke Ionio or vacation villas in Peloponnisos Dytiki Ellada ke Ionio. This holiday house is located in a resort area on a hill viewing the Korinth Golf and the mountains of the main land. The nearest beach is found in a distance of 800 m.
Located on the east coast of Peloponnese, this charming holiday house offers you everything you need to relax under the Greek sun and enjoy the crystal clear waters. This typical house of Mani offers a pool and is located in the village of Doli height 400m above sea level. It offers a private area away from the city bustle. This beautiful holiday villa on 2 floors is located on a hill of 4000m2 and offers stunning panoramic view. This beautiful holiday villa is the perfect choice for an unforgettable holiday in Greece. 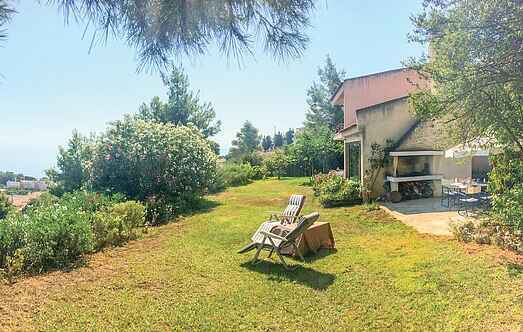 This cosy holiday home benefits from a great location in North Kynouria, only 120 metres from the nearest sandy beach.